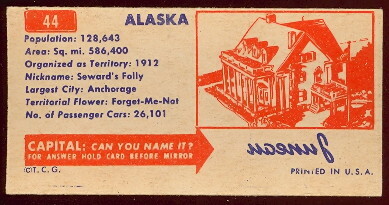 The 1953 Topps License plates cards feature automobile license plates from the United States and around the world. There are 75 cards in the set and the cards measure approximately 1-7/8" by 3-3/4". 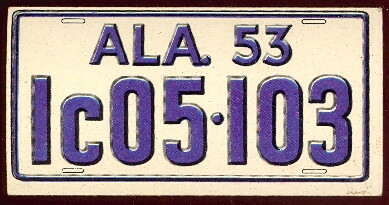 The fronts show license plate letters and numbers and location and the backs give statistics from the state or country along with a quiz. Some of the cards in this set appear to have been short printed.